If your department wants the ability to move data to any cloud at any time—allowing you to unlock the growing number of value-added cloud services for analytics, artificial intelligence, business intelligence, and content distribution—continue reading here. 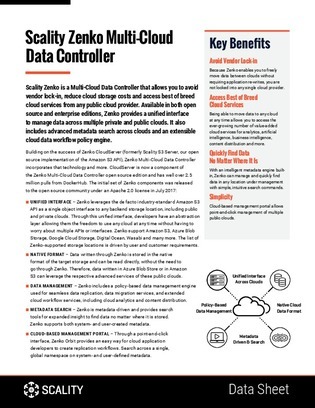 Highlighted in this resource is a multi-cloud data controller with which you can avoid vendor lock-in, reduce cloud storage costs, and access cloud services from any public cloud provider to improve the resiliency of your infrastructure. The features include advanced metadata search across clouds and an extensible cloud data workflow policy engine.